“Does for the cold, minimal ’90s what “American Psycho” did for the Wall Street greed of the ’80s. You name it, he manages to get it all in” – “Vogue”. “Gets under the skin of our celebrity culture in a way that is both illuminating and frightening” – “Daily Telegraph”. “A Bonfire of the Vanities – “Glamorama” is more like a Semtex attack on our superficialities” – Face”. “An epic that takes his blank surrealism into a realm equalled only by DeLillo” – “Arena”. “A master stylist with hideously interesting new-fangled manners and the heart of an old-fashioned moralist” – “Observer”. “Brilliant…He is fast becoming a writer of real American genius” – “GQ”. “An American masterpiece” – “Scotland on Sunday”. What is most amusing to me, is when I realize that the most interesting thing about Glamorama, are all the negative comments Brett Easton Ellis has said about it since it was published. 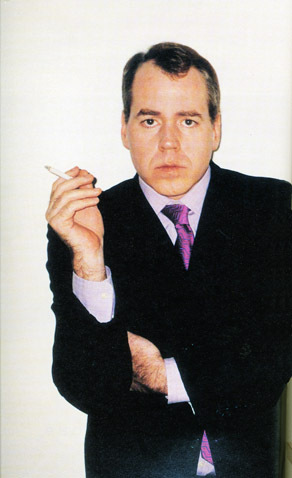 Brett Easton Ellis is the author of Less than Zero, The Rules of Attraction, American Pyscho, The informers, Glamorama,Lunar Park and the soon to be released Imperial Bedrooms.